I absolutely love Dan and Shay, I have been big fans of them for a long time and this song just proves how amazing they are. The vision that they had for this music video shines through. Although it could have just been a cute music video, they wanted to put some real, raw emotion into it. Something I can appreciate for sure. Alcoholism is a real issue in this world, and again instead of just making this a normal cute music video they put a message behind it. Thank you for this video and a shout out to Katie Stevens for being the female lead in it. Dan and Shay just keep writing hit after hit and I can’t wait to see what else they have in store for us down the road! Just a heads up, stay out of the comments section on this video. Country music has changed and evolved over the years, some people can’t handle it and they take their anger out on YouTube comment sections. Really though, I have to applaud every celebrity who has ever been involved in reading their ‘Mean Tweets‘ because they are hysterical. You have to be a good sport to laugh at yourself and it’s awesome that they were able to do just that. For some reason Willie Nelson’s mean tweet made me cackle. 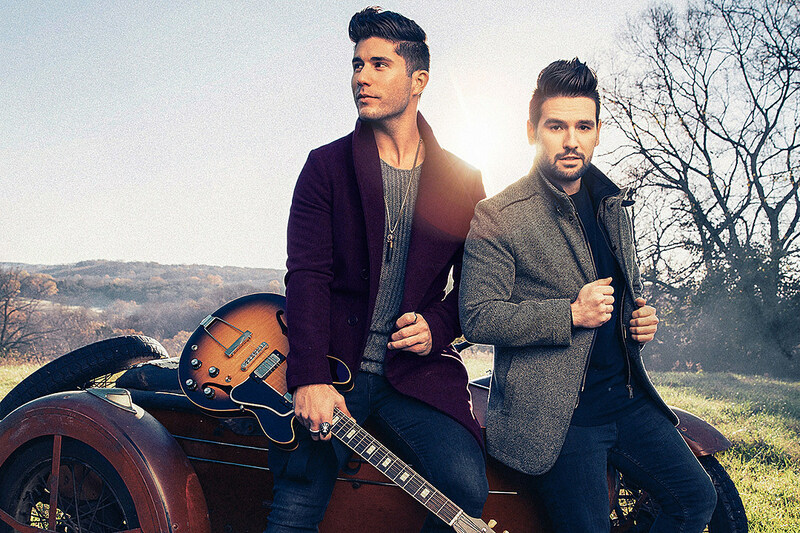 Dan and Shay probably have two of my favorite voices in country music. I have been a fan of theirs for a long time and I am glad to see that they are still making incredible music. You know how some people sometimes fall off? Well they didn’t. Their music has been consistently incredible since day one. Lately on Twitter they have been doing covers and tonight they posted a cover of “Stitches” the mega hit by Shawn Mendes, and they crushed it. That’s all I can say. They always sound good and the fact that they recorded this live on a laptop (I am assuming a laptop), just proves how strong their vocals really are. Keep the incredible music coming and keep those covers coming!